This season, the most powerful accessory you have is one you won’t want to neglect. This of course, is the blank canvas that is your face. Once the winter layers have been piled on, your face remains your most visible asset. Highlight this and unlock your inner artist with a hint of pigment, because there’s nothing that increases your makeup IQ more than a confident coloured lip, eye, cheek or all of the above. Winter fashion might be all about blacks and neutrals, but your make-up bag can march to the beat of a different drum. 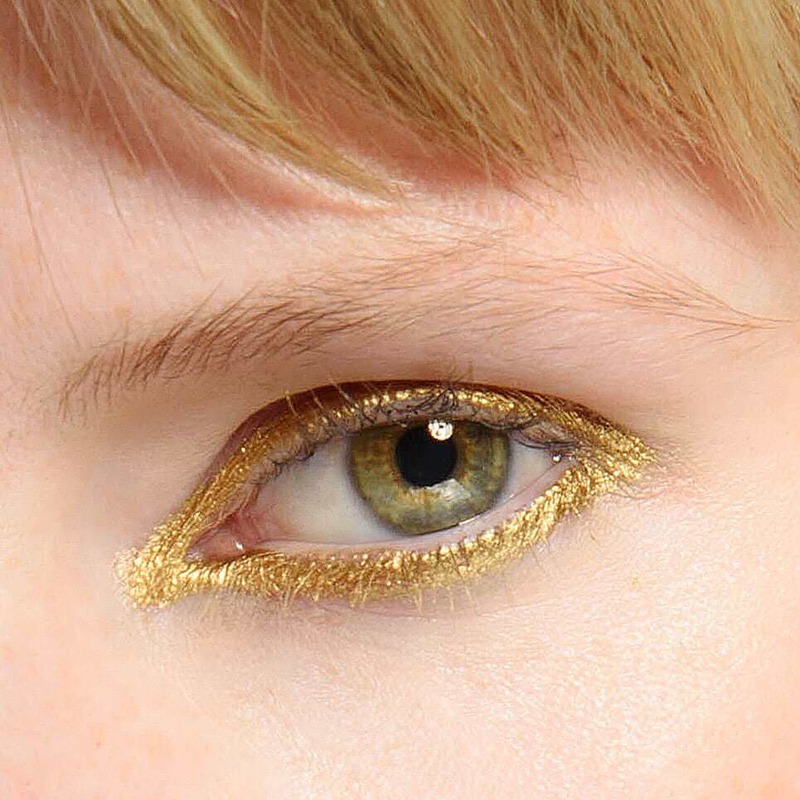 If your first instinct to the word “colour” is to crawl back into your shell, start subtly by introducing a gold or silver eyeliner to your repertoire. For beginners, start with a thin stroke on the upper lash line, and for those with the Midas touch, connect the line all the way to your waterline. 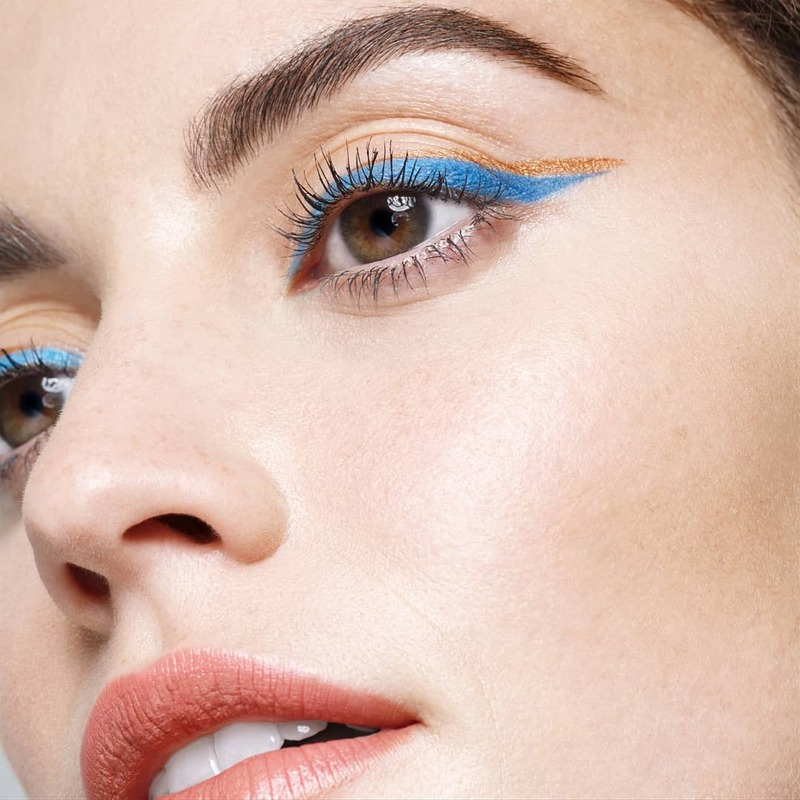 For the master of the cat eye, show off your well-earned skills with a double wing, alternating the colour for the top and bottom. To keep your eyes defined, finish the look with a generous coating of black mascara. The 90s have been back in fashion for a while now, and it’s seeped in beauty as well. Forget the muddy blue shadows of yesteryear – it’s all about bold, vibrant hues. To achieve a vibrant shade and make it last, wet your brush with a fixing spray – MAC fix plus is a cult favourite everyone must have – and then pat the colour on as oppose to brushing it. You can then blend out the edges once you’ve reached desired opacity. 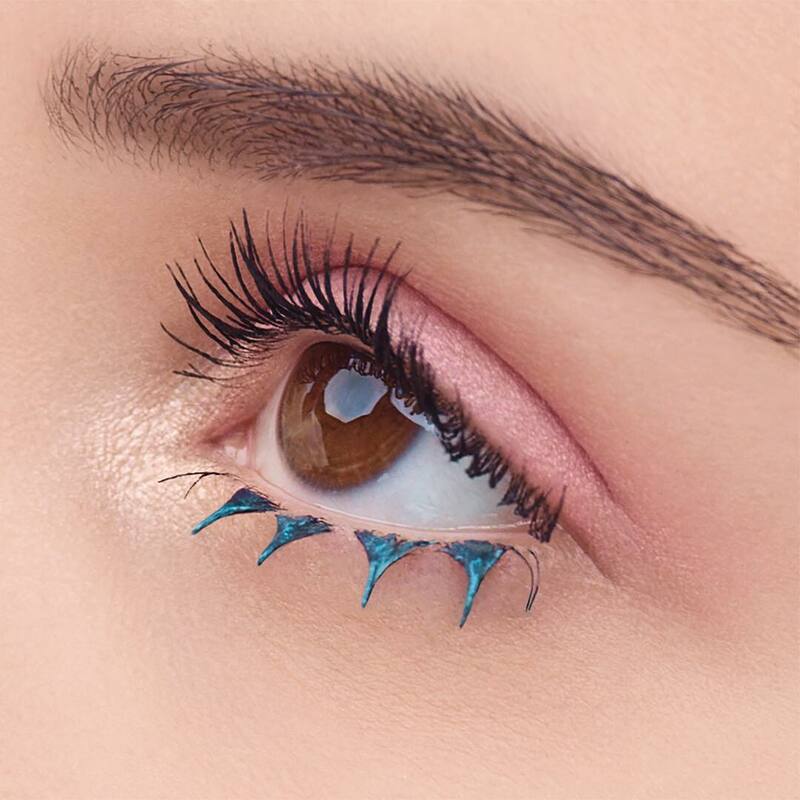 If you’ve tried a coloured mascara before and not fallen in love, it’s probably because you’re doing it wrong. Firstly, ensure that you’ve put on a lashing of black mascara. Then, use a coloured mascara top coat for a quirky pop of character. To keep the look from being comical, keep the colour to your bottom lash line. You can never go wrong with a classic red lip. It’s the easiest way to elevate your look without putting in much effort at all. For cool skin tones, choose a red lip colour with a blue base and for warmer skin tones, choose a lip colour with an orange base. If a rogue lip is a season to season standard for you, experiment with powder and amp up the colour with a rosy red blush. Select a shade that matches your lipstick colour for a look that commands attention. MAC Cosmetics, Lancôme and Bobbi Brown are available at Debenhams, located on Ground Floor and Lower Ground.